Did you make or attend a turkey dinner with all of the trimmings? Bake a pizza instead? We had a lovely gluten, dairy, and corn free turkey dinner with some of my family. I was elated to find a soft dinner roll recipe that we all could eat! The biggest hits were the chicken apple sausage stuffing made with some easy artisan bread, and green bean casserole with a roasted garlic cashew cream sauce studded with sauteed mushrooms and topped with caramelized onions. In honor of being thankful and Small Business Saturday I’ve put together a sale. There’s no need to fight the crowds on this one, and you can participate anywhere. What can be better than shopping in PJ’s at home for patterns? I love this time of year. 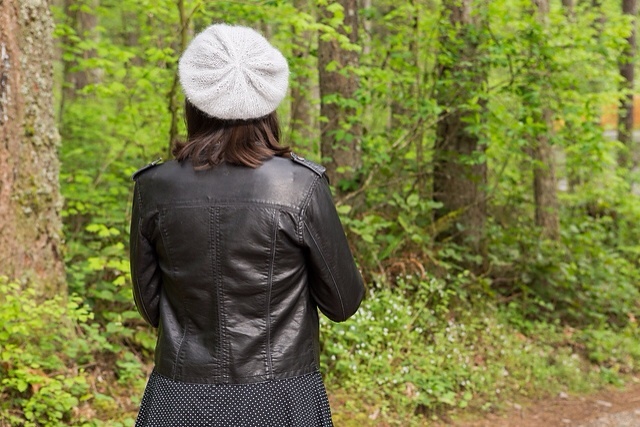 The leaves are changing color, the air is getting crisper, and it’s the perfect weather to show off your knit and crochet pieces! My current favorite is my newest pattern, the Springen Bandana. The gauge is large and chunky, but because the yarn is an airy mohair and silk i-cord the result is light and fresh. Springen is worked flat, from the top down with increases and the center and edges. It has garter stitch for the main body, and a dropped stitch edging. I used a simple chain as a closure; you can also use a brooch, large button, or a shawl pin. Did I mention it’s reversible, and only takes 1 skein of Kid-Setair? These lovely photos were taken by the talented B. Mae Photography at a local romney sheep and angora goat farm. It was so fun traipsing around in the wooly creatures pasture while avoiding the rain and trying to find the perfect light. We couldn’t stay still for too long or the goats would try to eat our clothes! We even had a sheep nearly lick the camera lense. I finally have a new pattern to show off! 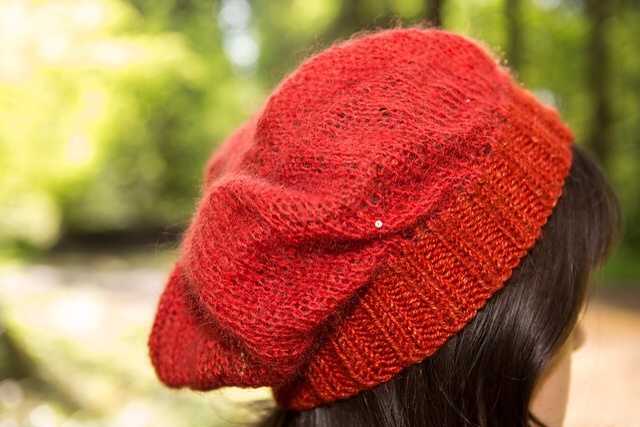 It comes in DK and worsted weight brims. This brim is made in Simplicity Metallic. Double sparkle! 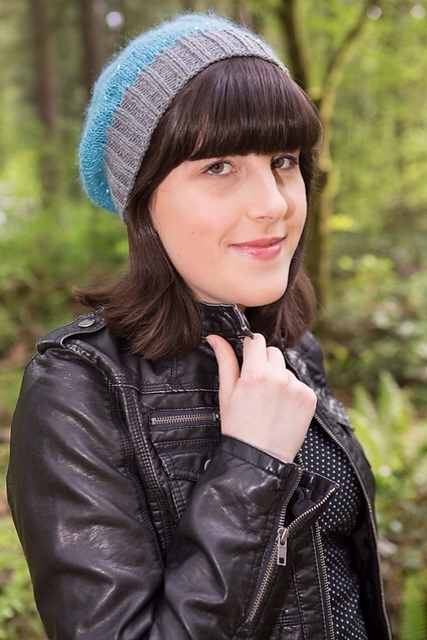 This brim is in Simplinatural and this hat makes me feel like a storybook character! This shoot was a blast! 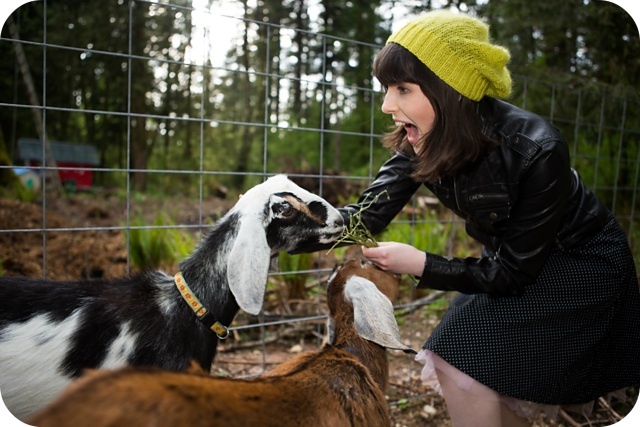 We played with goats (they were even trying to lick the camera! ), picked flowers with the neighbor kids, and did mini dance parties in between shots. 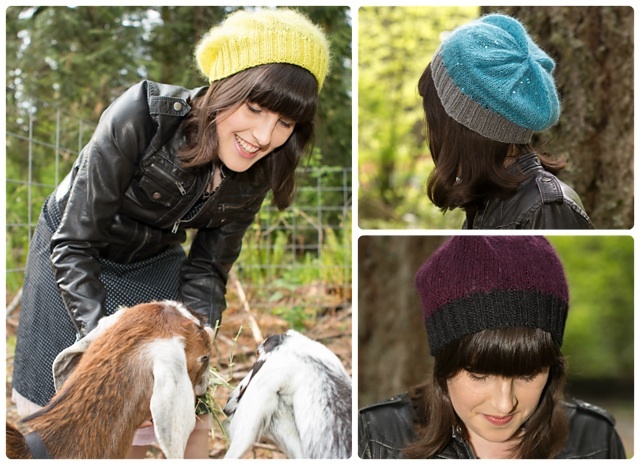 The hat is just as fun to knit! The Kid-Paillettes that is shown for the hat body has darling little sequins strung in with the mohair and silk to give your days and nights a bit of glimmer. Hello lovelies! I have a wonderfully simple summer pattern for you all! For more pattern info click on over to the Ravelry.com page. Pattern is available for free for my Rav group members and newsletter members. 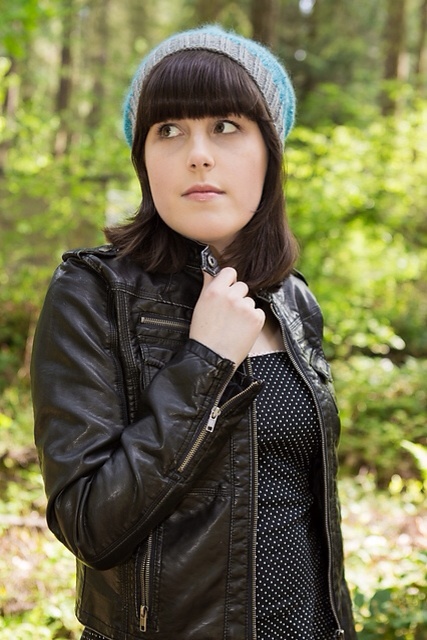 I was amazed how this hat looks good on everyone that has tried it on. First it was a friend with a bobbed haircut, then my musician brother in-law, and finally my brother who isn’t much of a hat person is requesting one. He didn’t want to give it back after the photo shoot! 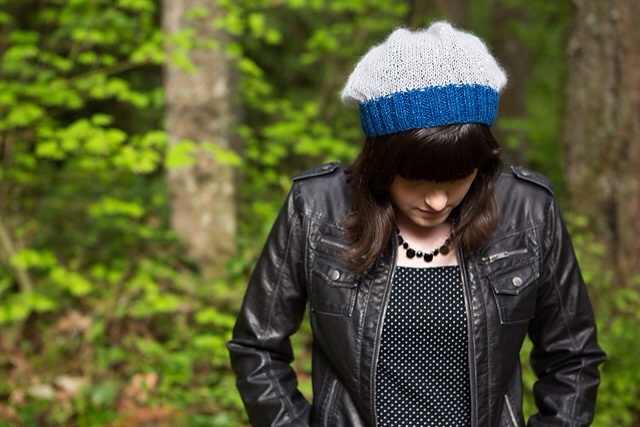 A simple 3×2 brim kicks off the simple slouchy nature of this hat. The addictive eyelet pattern is easy to memorize, so you can work on it at social events, watching your favorite tv show, or even at a sporting event without worrying about shaping until the end. Note: Finished hat is very stretchy and will fit up to a mens large. For more pictures please see the Ravelry page here.